A lawsuit filed against Amazon.com for violating the Fair Credit Reporting Act will move forward after a Florida judge ruled that the suit has validity. Per a report from Lexology.com, Amazon had petitioned the court to dismiss the lawsuit, arguing that their offense was relatively minor and not enough to constitute an FCRA violation. A federal court judge in Florida disagreed, which means that the case will proceed, coverage explains, likely ending in a settlement between Amazon.com and the plaintiff. The lawsuit involves an incident from 2015, reports explain. A Florida man applied for a job with one of Amazon’s order fulfillment centers. During the application process, he noticed that Amazon did not provide a standalone form asking applicants to consent to background check screenings. The FCRA requires employers to follow specific guidelines in disclosing their background check policies and requesting background check consent from applicants. The FCRA requires employers to inform applicants, for instance, that background check findings may be used in employment decisions. Per coverage, the plaintiff in the lawsuit claims that Amazon separated the background check disclosure and background check authorization steps into two forms. He says that the disclosure form was included as part of the broader job application instead of being a completely standalone document. He claims that the background check authorization form included “extraneous information” about job applicant rights in states other than Florida—information that didn’t apply to him. Amazon’s petition to the Florida judge argued that the supposed violations were small and technical in nature and did not give the plaintiff the right to sue. 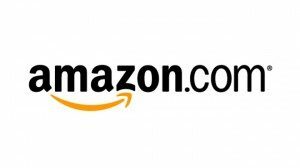 The judge disagreed, reports note, affirming that the plaintiff had the necessary standing to sue and that Amazon may have willfully violated the FCRA.